We have designed and presented training on motoring offences, disqualification and penalty points issues to numerous people over the last few years. The presentations are tailored to the particular requirements of the people being trained whether it be a group of accountants or an insurance company. 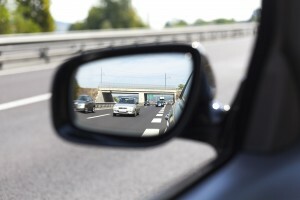 highlight situations when you may need the assistance of a specialist motoring lawyer. Road traffic law can be a dry subject so we try to make the presentations interesting, relevant and interactive. We also have many stories to tell through our own experiences. We have always had very positive feedback. We are very happy to prepare bespoke presentations which will benefit you as both individuals and organisations. Will I get a speed awareness course if I travel at 40mph in a 30 mph zone ? If I do not know who was driving my car when it went through a red traffic light, am I guilty of an offence ? If I am stationary in a traffic jam, can I use my mobile phone ? If I sneeze and crash into someone, have I done anything wrong ? If someone puts alcohol in my drink without me knowing and I was over the limit, am I guilty of drink driving ? I reversed into someone in a car park and scuffed their bumper, do I have to report it to the police ? I take prescribed drugs, will I get prosecuted for drug driving? The training can last as long as you require but normally takes between one and two hours. This will depend upon the content of the course, the duration ,where you are located and your budget. Call to discuss training tailored to your needs.